The Pythons’ gleefully deconstructed the very medium of television; there were parodies of documentaries, game shows, commercials and chat-show interviews. But they also frequently subverted the very grammar of television itself – for example, the opening titles might appear halfway through an episode, or the end title crawl would unspool at the very beginning. The iconic BBC globe was regularly hijacked, with voice-over announcers heard eating or engaged in tortured personal crises in the background. 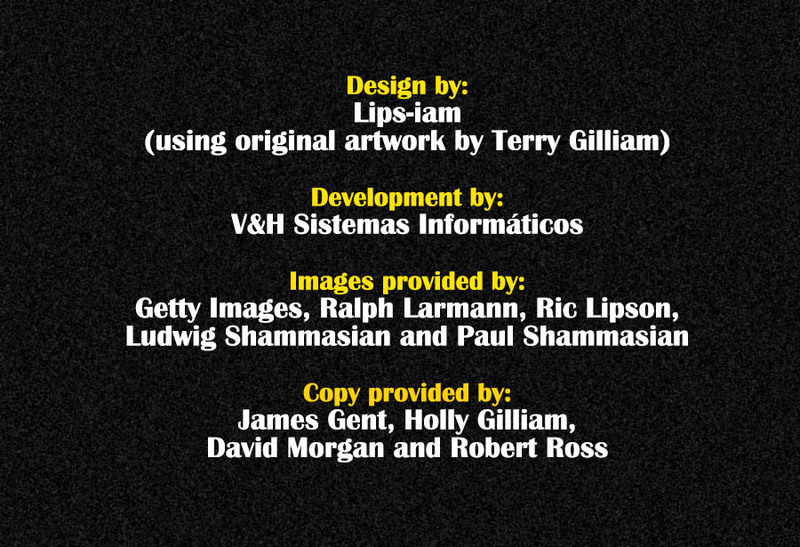 Over the next few years the show received three BAFTA awards, including Best Light Entertainment Programme, and two special awards for its writing–performance, and for Gilliam's graphics. The team's ‘Big Red Book’ (published, with a blue cover, in 1971) sold out its initial print run within a week. Its follow-up, ‘The Brand New Monty Python Bok’, amassed advance sales of over 100,000. At the same time they also released a string of hugely-popular vinyl albums, masterfully seizing the full imaginative potential of the audio medium. (‘Matching Tie and Handkerchief’ was the first three-sided record album). In 1971 the Pythons' first film, ‘And Now for Something Completely Different’, was produced as a means of introducing the group to American audiences, particularly the college crowd. The movie, a remounted collection of sketches, received a surprisingly strong response in England, despite the familiarity of the material from the original TV broadcasts. The Pythons received a similarly strong welcome when they performed live on stage, on tours of England and Canada, and finally at London's Theatre Royal, Drury Lane. Sparked by FM radio broadcasts of the Pythons' records, imports of the books and clips shown on TV, interest in the group grew in the United States until, in 1974, public television station KERA-TV in Dallas, Texas, became the first to air ‘Monty Python's Flying Circus’. Other PBS stations followed suit, providing an eager fan base for the group's second movies, released in early 1975. The 2000s was the era of Python humour returning to the stage, with the 2005 Broadway premiere of ‘Spamalot’. Written by Eric Idle and John Du Prez, this smash–hit retooling of ‘Holy Grail’ won the Tony Award for Best Musical, and was quickly followed by the "Brian"-derived comic oratorio, ‘Not The Messiah’, memorably presented at the Royal Albert Hall in a 40th-anniversary staging that featured many of the other Pythons. 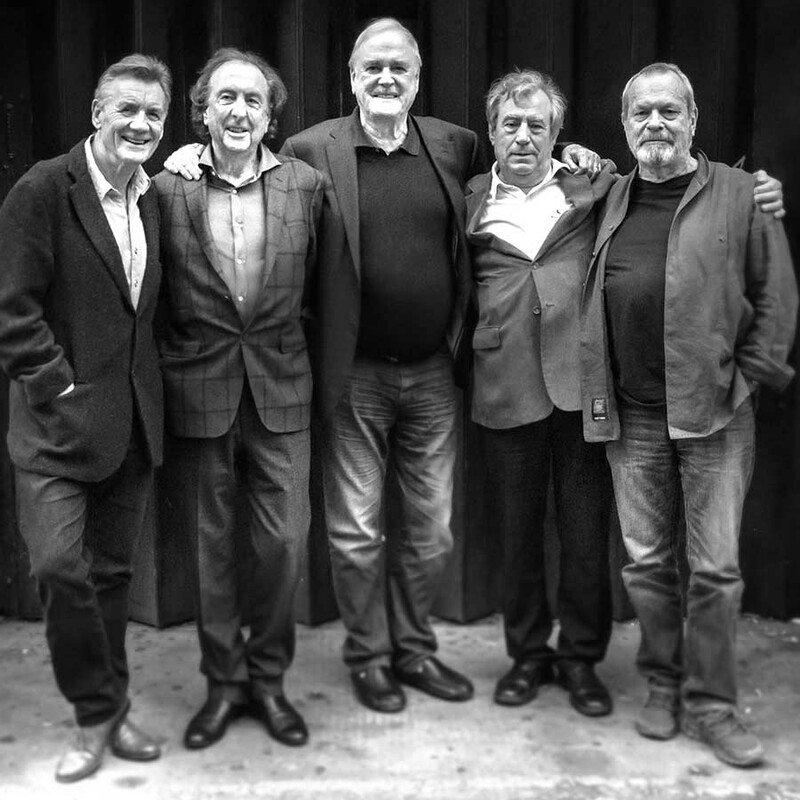 On 21 November 2013, the unthinkable happened: At a press conference in London, the five surviving Pythons announced that they were reuniting for a valedictory live stage show in 2014. Record-breaking ticket sales saw a single reunion show extended to a sell-out ten-date residency, and the shows were unanimously well-received by audiences as a joyous, nostalgic celebration of the Pythons’ legacy. The final reunion performance, ‘The Last Night of the Pythons’, was watched live by a 15,000-strong audience at The O2 in London, and simulcast on television and in cinemas to an estimated worldwide audience of 50 million. The reunion jamboree was complemented by ‘Monty Python’s Total Rubbish’, a lovingly-packaged deluxe box-set of the team’s discography.